The CBR Institute for Biomedical Research is an independent research institution affiliated with Harvard Medical School. In 2004 more room was needed for its expanding programs, and the Institute relocated part of its facilities to the Medical School’s Longwood Campus. Next Phase Studios provided architectural and engineering services for outfitting this new lab in an existing space on a fast-track schedule. This Bio-Safety Level 2+ laboratory houses Judy Lieberman’s research group for the investigation of blood borne disease. It includes specialized equipment for microscopy and cell sorting. 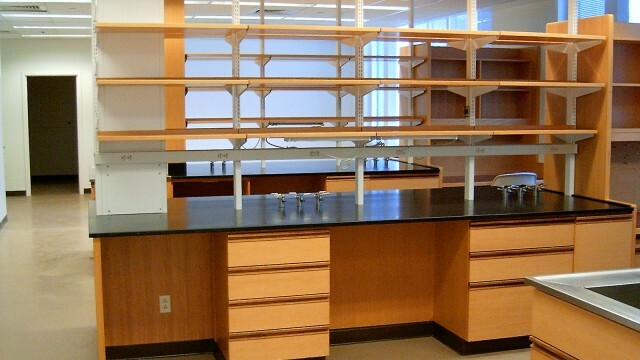 The project also involved careful space planning, extensive millwork design, and the mechanical design required for this level of lab.